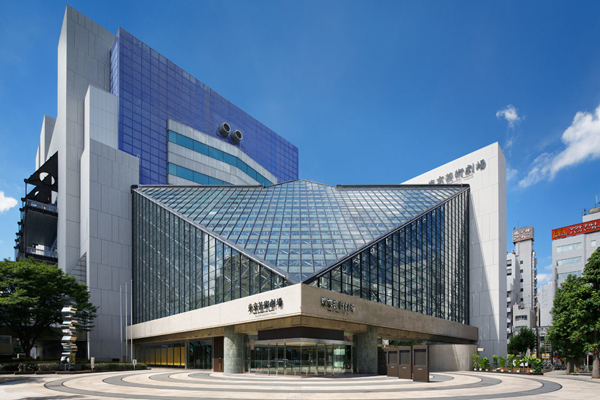 Tokyo Metropolitan Theatre was opened in October, 1990 by the Tokyo Metropolitan Government as a base to promote art and culture and its globalization among the citizens by presenting quality programs mainly in the fields of music, theatre, opera, and dance. The theatre features a Concert Hall, which is designed exclusively for classical music presentations and boasts one of the world's largest pipe organs, and a Playhouse, Theatre East and Theatre West for plays and dance performances. The theatre is also equipped with four exhibition spaces, large/small meeting rooms, and rehearsal rooms, and is capable of serving multiple purposes in artistic activities by the citizens in addition to actual performances on stage, from art exhibitions to lectures and workshops. Currently, the theatre is operated under the management of the Tokyo Metropolitan Foundation for History and Culture. A variety of unique music programs have continuously been planned by and presented directly at the theatre, including concerts and lectures that feature our beautiful pipe organ, one of the highlights of our facilities. The theatre also regularly offers classical concert programs with a business partnership with the Yomiuri Nippon Symphony Orchestra, Tokyo. "Theatre Opera" is another quality music program that is popular at the theatre, where the audience enjoys "semi-staged" opera programs. With its mission to serve as a core facility of new culture, the theatre has also been actively presenting original theatrical productions as well as cosponsored/tie-up programs with outside organizations known for their outstanding artistic performances. In July 2009, the theatre welcomed Hideki Noda, one of the most successful figures in today's theatrical communities in Japan, as its first artistic director so as to pursue further advancement in creative activities and to bring about more quality projects at the theatre. Since then, with supervision of Noda, the theatre has been introducing the audience to a wide variety of programs, from modern versions of classical pieces to experimental works that would not be categorized in any conventional theatrical genres. On September 1, 2012, the theatre reopened to the public after completing the major renovation that began in spring of 2011. We are ready to serve again the citizens as Tokyo's flagship theatre for music and performing arts. Look forward to our continued progress to create a theatre where art and culture are born; talents and education are supported; people are invited; and intercultural communication is promoted.